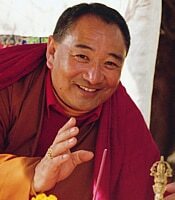 Tarthang Tulku, Rinpoche, a Tibetan Buddhist master, arrived in our country in 1968, settled in California, and since then has founded twenty non-profit organizations dedicated to preserving the profound teachings that flourished so expansively in his native Tibet. These organizations are considered to be our Mandala. Tibetan Nyingma Meditation Center, a Buddhist church, was the first, followed shortly thereafter by the Tibetan Aid Project, which offers support to Tibetans in Asia. Dharma Publishing, which publishes books in English on Buddhist teachings and Western adaptations, was also founded in the early years. It has published over 150 titles in English, including some 40 original works by Tarthang Tulku Rinpoche. Many of these titles have been translated into other Western languages. Nyingma Institute was founded in 1972 to offer classes in Buddhist teachings to Westerners. People from around the world have come to study and several returned to their home countries and eventually founded centers there: Nyingma Centrum Nederland, in Amsterdam, The Netherlands, Centro Nyingma do Brasil in Sao Paulo,Brazil, Nyingma Zentrum, in Cologne, Germany, and Centro Nyingma de Budismo Tibetano in Rio de Janeiro, Brazil. Each center has its own mandala, with practice, publishing, support for Tibetans, art projects, and an institute. Odiyan, a country center rich in temples, libraries, art, and ritual offerings, was begun in 1975, in Sonoma County, California. Built by volunteers, it is a center for creation of sacred art and editing and typesetting of Tibetan texts. Ratna Ling, located nearby, was founded in 2004 and is a retreat center and home to Dharma Publishing. Also located at Ratna Ling is the Yeshe De Project, which prints books in the Tibetan language. The Yeshe De Project began with printing a library edition of the Buddhist Canon, comprising 120 volumes, in 1981. This was followed by a collection of texts of the Tibetan Nyingma school, called Great Treasures of Ancient Teachings, which comprises approximately 650 volumes. These have gone to libraries throughout the world. The project then produced over 5 million books that have been given as gifts to the Tibetan communities and centers in Asia, helping them to keep their language and culture alive. This has been made possible through the financial support of the other organizations in the Mandala, as well as by individual donations. In more recent years, Tarthang Tulku, Rinpoche has founded several organizations to revitalize Buddhist practices in India, Tibet and throughout Asia. These include the Light of Buddha Dharma Foundation International, which supports the restoration of Buddhism to India and its growth and stability throughout southeast Asia. Prajna Light Foundation, Ananda Light Foundation, and Vajra Light Foundation support education and practice in Tibet and Tibetan regions. The Sarnath International Nyingma Institute, opened in 2013 in Sarnath India, has numerous projects, including teaching English to Buddhist monks and Buddhist studies to Westerners. A mandala is a circular form, representing the coming together of the elements of our universe in a way that is harmonious and beneficial. Through the unparalleled vision of Tarthang Tulku, Rinpoche, in just 50 years, a true mandala of organizations has emerged that is shining wisdom and light in many directions of our world.